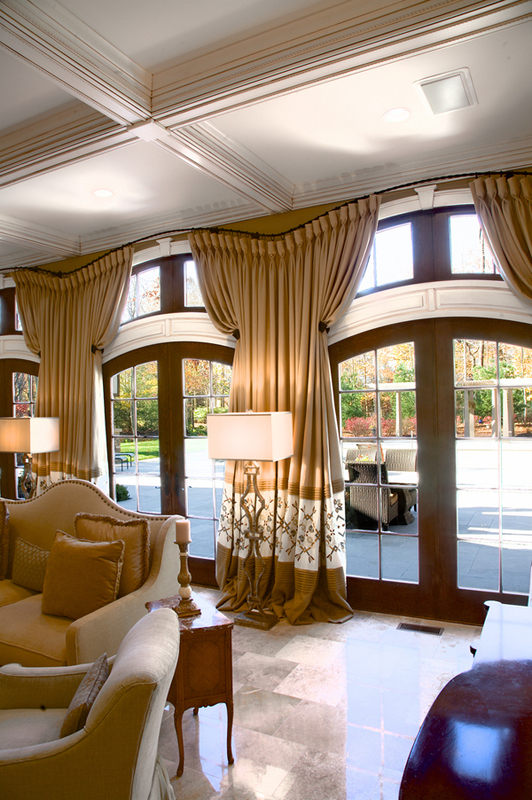 Award winning window treatments are the product of great design, superior execution in the fabrication and flawless installation in a great setting in the client’s home. If any one of these elements is missing you should still have a beautiful treatment that will serve you well for a long time but not an award winner. The award winners you see here have all of the elements. It takes a great designer, great client and great fabrication and installation and we are ready to our part for you. Not all designs and treatments can be award winners and they need not be. The primary purposes of window treatments are typically privacy, light control and decoration. Serve these purposes first and your personal reward will be long time satisfaction with your purchase. Let us help you with your next project.